Let’s start with the appetizers, shall we? I’m always terrified of trying guac and queso at restaurants. It’s one of those combos that are either incredibly awful, or amazingly scrumptious. 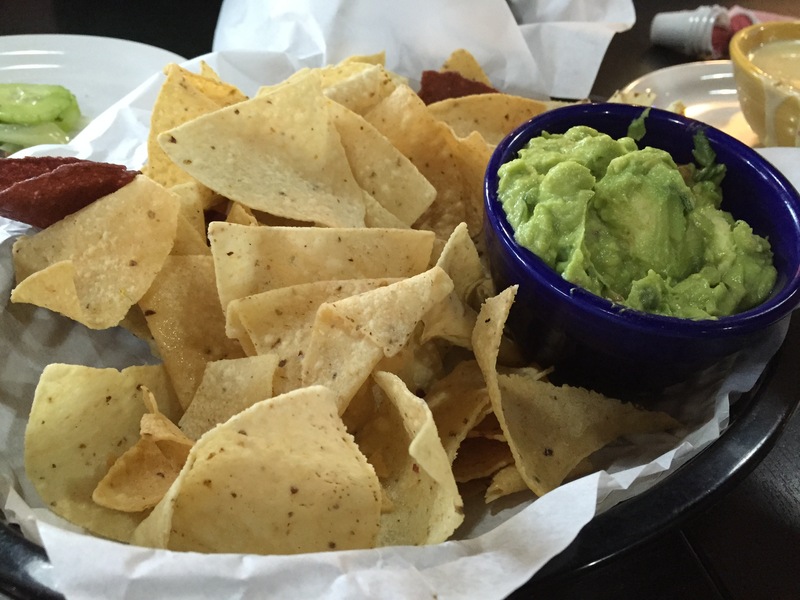 Thankfully, FUEGO provides the latter – yummy, chunky guacamole with piping hot tortilla chips. They’re not too salty, and just the perfect amount of crunch for the guacamole. Sadly, the chips are a bit thin [which I LURVE] but the beau prefers his chips thick [like my baby biceps]! This comes down to preference, but the flavor is delicioso! 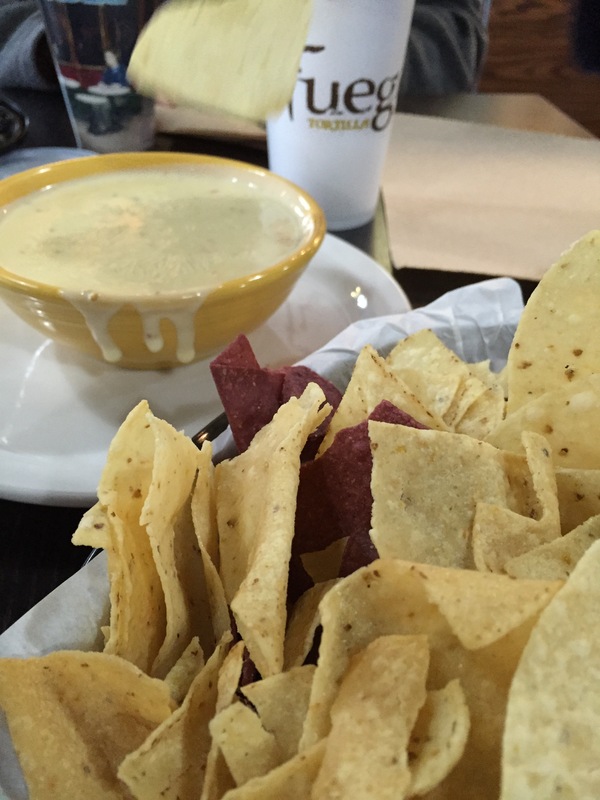 I will add here that the chips are just the perfect thickness for the queso! It’s creamy, gooey, and has a swift kick of spice that brings your entire meal up a notch. The beau and I got to enjoy this amazing, eat everything with your hands meal with my aunt, uncle, and cousins. These two are my favorite munchkins. [They’re not so little anymore though.] 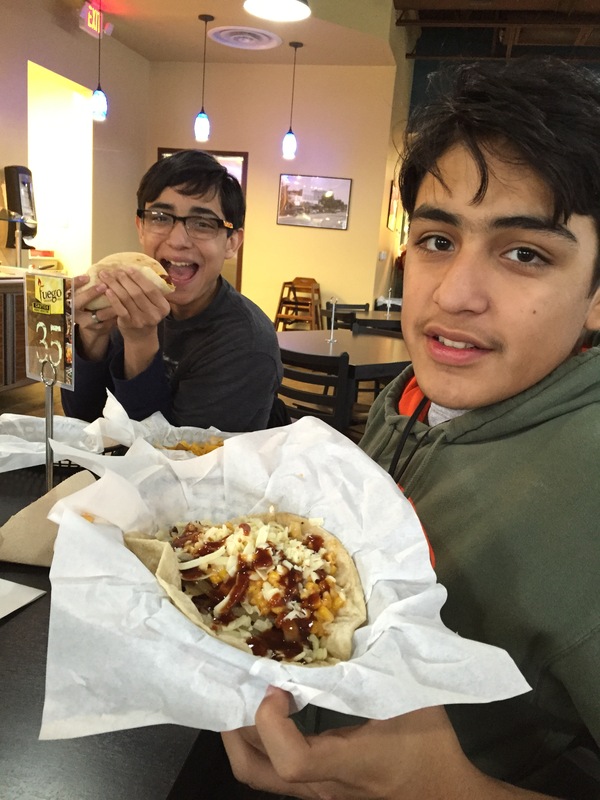 These kids are pretty huge, and the tacos they’re eating still look ginormous! They each ordered two tacos, loaded full and to the tortilla brim with the filling. 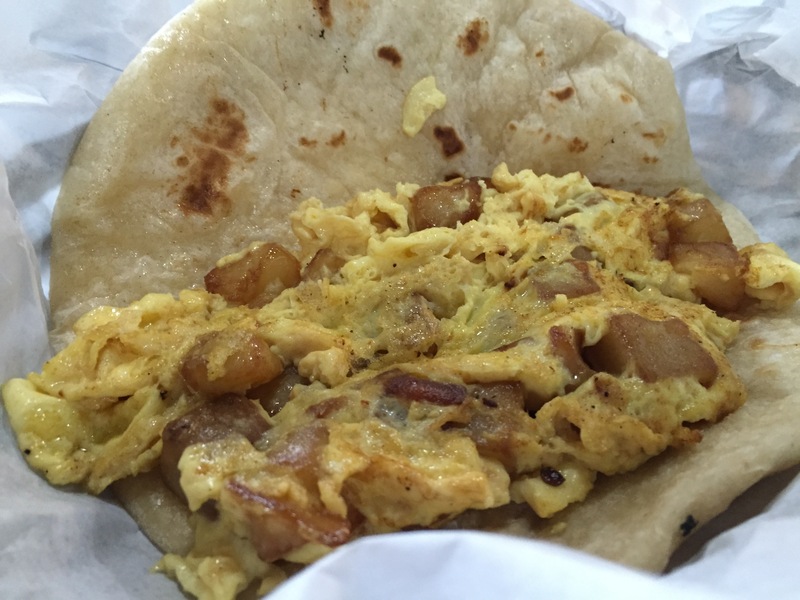 Potatoes, eggs, bacon, cheese, brisket…oh, lawd – the glorious choices! Check out a chunk of their menu! Every single choice is brilliant! I ordered EL PRESIDENTE, with a side of street corn. 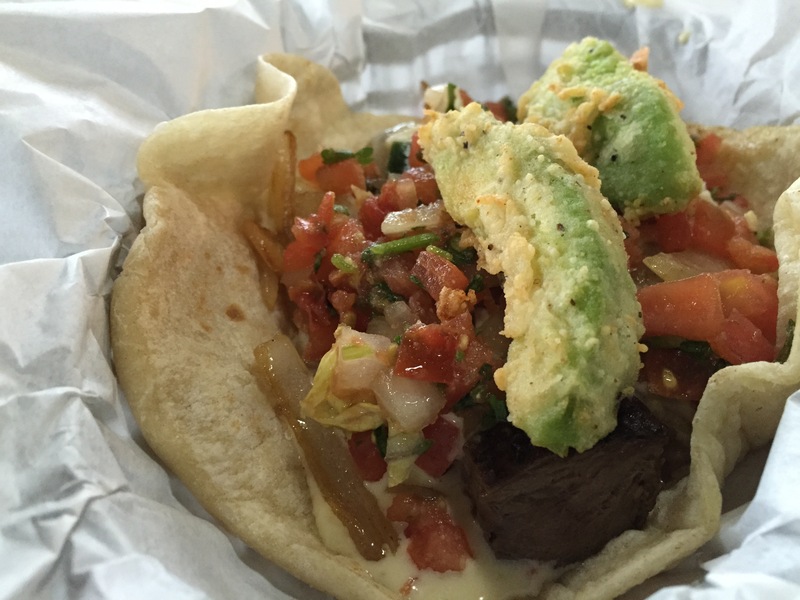 Oh, you should know – one taco, truly, is enough. Eating two would mean you are hungry enough to chase down a chicken and prepare your own giant tortilla filled lovely meal. 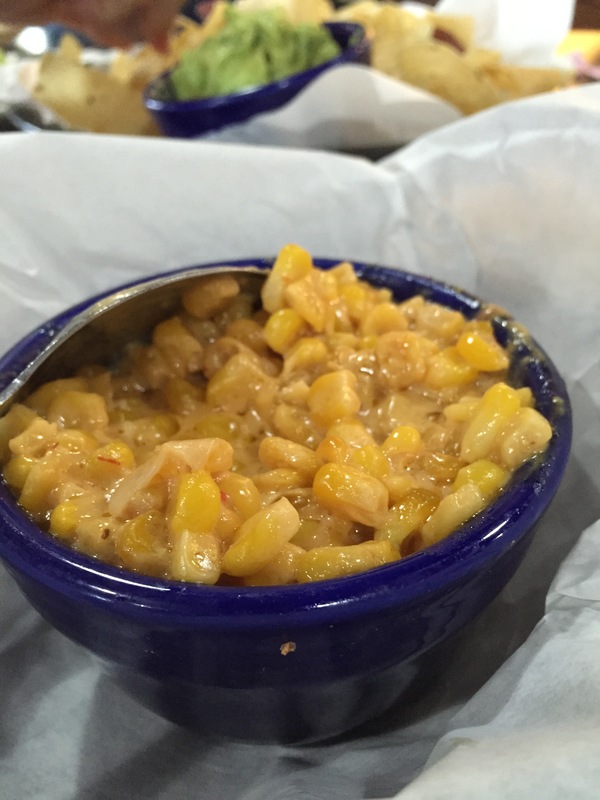 PLEASE, for the love of all things, sweet, crunchy, and rustic – ORDER THE CORN! Fuego is damn delicious. In fact, I demand they open a Dallas site. Do it!! Please? This road trip pit-stop was practically sinful. Everything tasty, crunchy, spicy, flavorful, and AHHHH-Mazing! 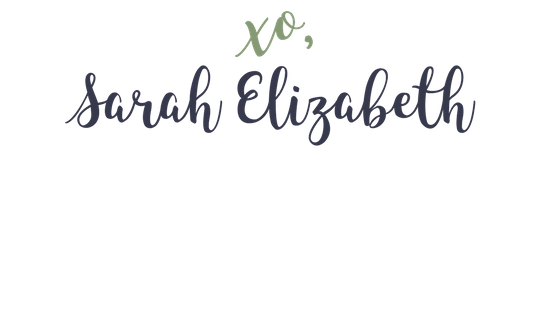 Stop in and let me know how your taste buds express their gratitude.